My holiday plans included lofty ideas of reading them all, and I lugged them with me to every part of my meandering holiday. 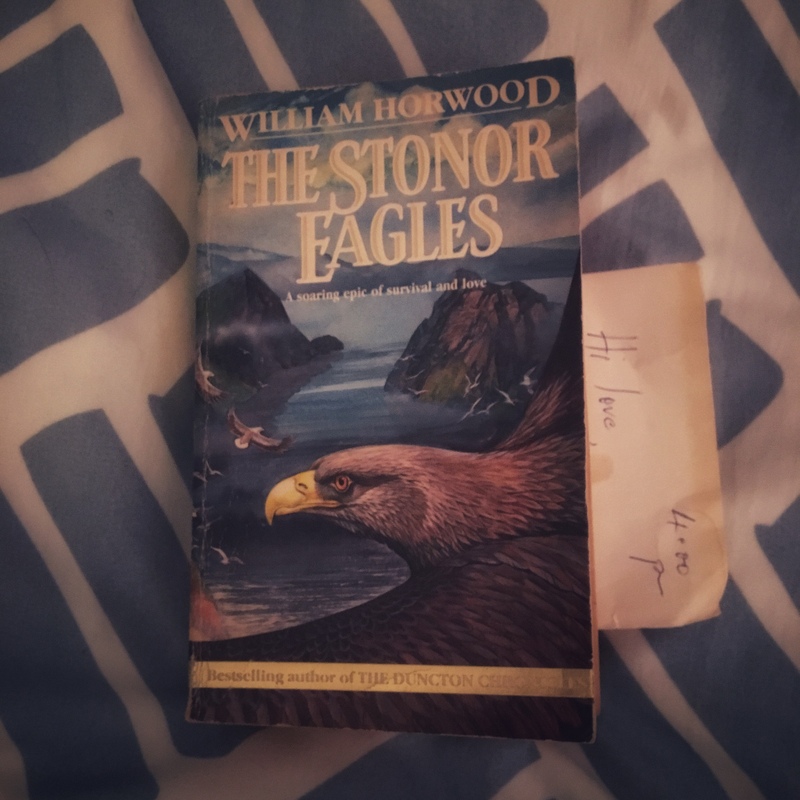 Last week, I finally started on The Stonor Eagles by William Horwood. I’m a big fan of his Duncton Woods books, and I honestly cannot rave enough about the spectacular yet horrifying reflection they hold up to society and religion (think Animal Farm, but about trials of heretics across the history of Europe). To my delight, I discovered a sweet little love note between the books pages, its writer and receiver forever a mystery. The Stonor Eagles simultaneously reminds me why I want to be a writer and how far I have to go (Hi imposter. Thanks for stopping by; there’s the door!). With one page and one scene, Horwood riled my misanthropic heart with the merest description of the human desecration of the sea eagles of Skye. How these symbols on the thinnest, pulped slice of a dead tree can transport you half way across the globe in an instant, have you weep for beings that exist only in the hearts and imaginations of the writer and readers. This is what great writing does. And it’s a power beyond measure.